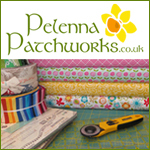 So it's November and time for Fresh Sewing Day and Small Blog Meet. During October, a group of online quilting friends grouped together to make this Oakshott shot cottons quilt for a friend of ours, Helen, Archie the Wonder Dog. I'm not going to say why we decided to make her a quilt but suffice to say that she is a very special person to each one of us. Warm, kind, generous, supportive, thoughtful and a real friend to each of the quilters who grouped together to make the quilt. It is made of Oakshott shot cotton 4" finished half square triangles from the Lipari, Impressions and Italy ranges, pairing darker with lighter triangles. Each of us made sixteen half square triangle units, randomly pairing and placing the fabrics into one long strip. Hadley Flying Blind on a Rocket Cycle then pieced the strips into the finished quilt top. Here are her photos of the finished top. 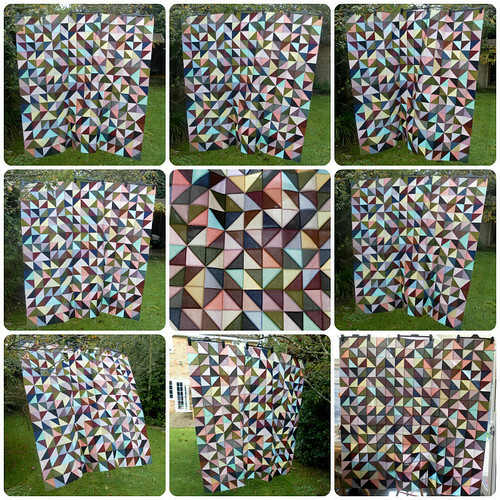 The icing on the cake of this quilt was the quilting which was done by the uber talented UK longarm quilter Trudi of Quilting Prolifically and the photos of the finished quilt in this post are from her Flickr stream. And what about you? What have you worked on this month? Any finishes? Maybe a mosaic of everything you've been doing? One favourite thing? Link up at the bottom of this post to share what you've been working on. If you do link up, how about visiting at least four of the other blogs who link up - two above you and two below you - and stopping to leave a comment as well as visiting back anyone who visits you. As always here's the button to grab. As a quilter, I think there's no better way to appreciate a friend by giving her a quilt. And such a beautiul one your friend got! Such a pleasure to be part of a special gift for such a special friend! That is really beautiful quilt. That's gorgeous, I saw it on Hadley's blog and had no idea it was going to be such a thoughtful gift. What a beautiful quilt to give a friend! 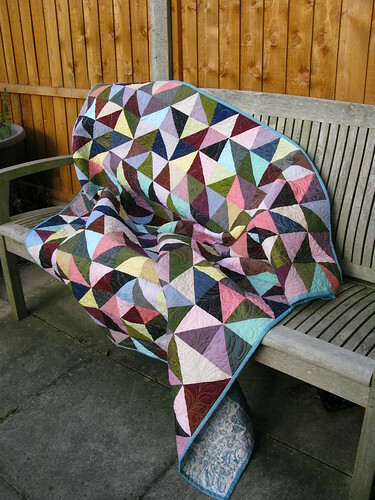 Thanks for sharing this quilt story! What an amazing gift! I imagine Helen was thrilled!! 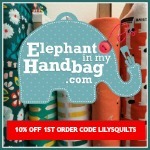 What a lovely gift for a very special lady! That is a gorgeous quilt! Great job ladies! 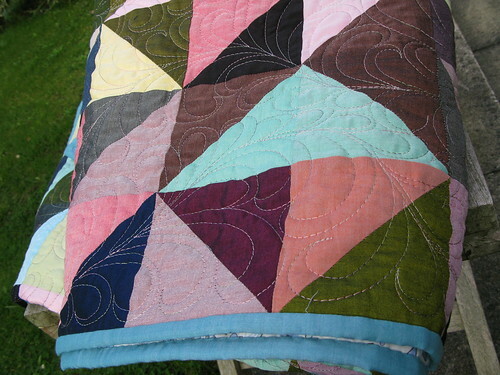 And yes, the quilting is very sweet. So nice we could give something back to Helen when she gives so much to everyone of us in so many ways. I love the mismatched legs on the quilt in the top photo! What a beautiful quilt! A wonderful gift for a wonderful person I am sure! thank you for the link up. 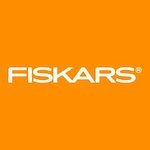 As a new blogger it is hard to get followers, but I am very much working on that! I agree with Susan and thanks for letting me be part of it. Thanks to everyone and especially Hadley and Trudi who both did an amazing job! Helen is just amazing and such a great friend. WOW, this is really a wonderful gift. I now her from Blogging, so I bet she is great in real life too! Beautiful quilt! I've seen some of those mystery blocks in the making and have been curious o see what the project was! This is so gorgeous... 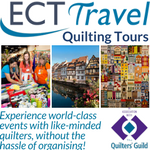 I'm crazy over HST quilts at the moment and love yours! I absolutely LOVE LOVE LOVE this quilt design!! Had to make something similar (2 blocks) for my first ever bee. Was not convinced at first but now am a total convert!! So lovely of you to all make that for Helen, you should have asked me I would have been happy to have contributed - she is such a lovely person, I hope all ok with her, I don't know the reason for you making the quilt but very happy you have done. 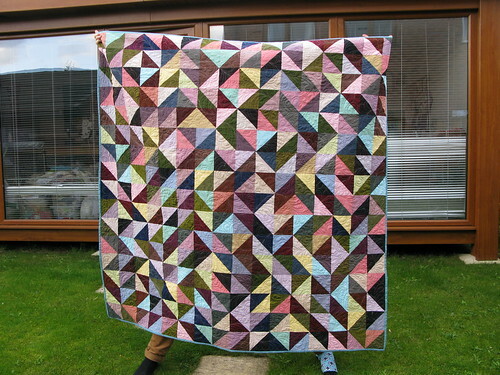 And a stunning gorgeous quilt too! This is a gorgeous quilt that I know will be loved and appreciated! 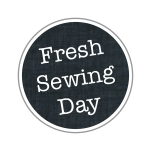 I like your Fresh Sewing Day and New Blog Meet linky party. Will have to remember to link up next time. 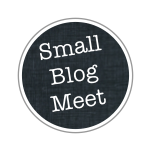 Great idea to have participants visit the other blogs and get to know one another. Yeah it look stunning and I believe is being put to good use! Hadley has the right of it as ever!